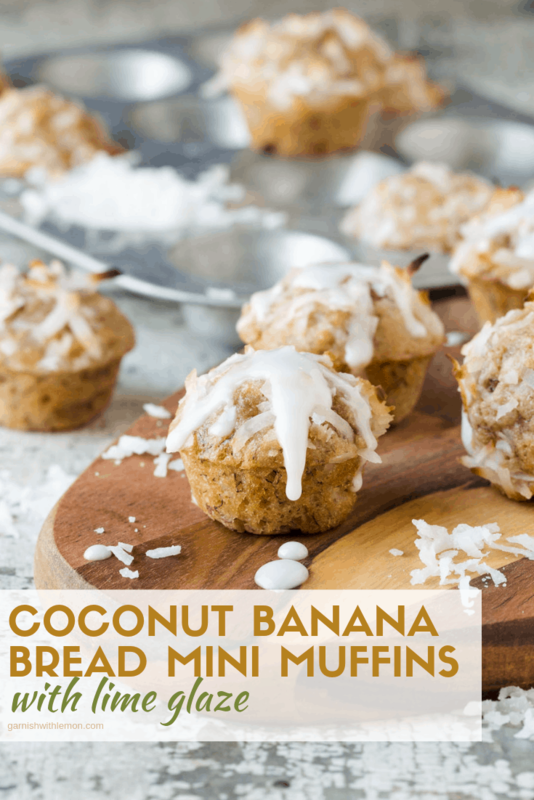 These Coconut Banana Bread Mini Muffins with Lime Glaze are the perfect bite-sized sweet to add to your brunch buffet! Love banana bread? You’re going to be super excited by this recipe for Coconut Banana Bread Mini Muffins with Lime Glaze. It has all the familiarity of your favorite banana bread crossed with the tropical flavors of coconut and lime. Their bite-sized form makes them perfect for brunch (or even snacking on the run)! As much as I love brunch, sometimes I get a little overwhelmed by the choices. Do I fill my belly with savory entrees like this Fireman’s Overnight Breakfast Casserole or this Sausage and Pepper Jack Egg Bake? Or should I go all in on the sweet treats with these Easy Cherry Cream Cheese Danish or a big slice of Grandma’s Sour Cream Coffee Cake? 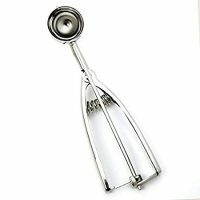 And how do I save room for a brunch cocktail like this Mexican Mimosa? That’s why I love serving these Coconut Banana Bread Mini Muffins with Lime Glaze on my brunch menu. They are the perfect bite-sized sweet to satisfy my sweet tooth while still leaving room for all of the other goodies on the spread. 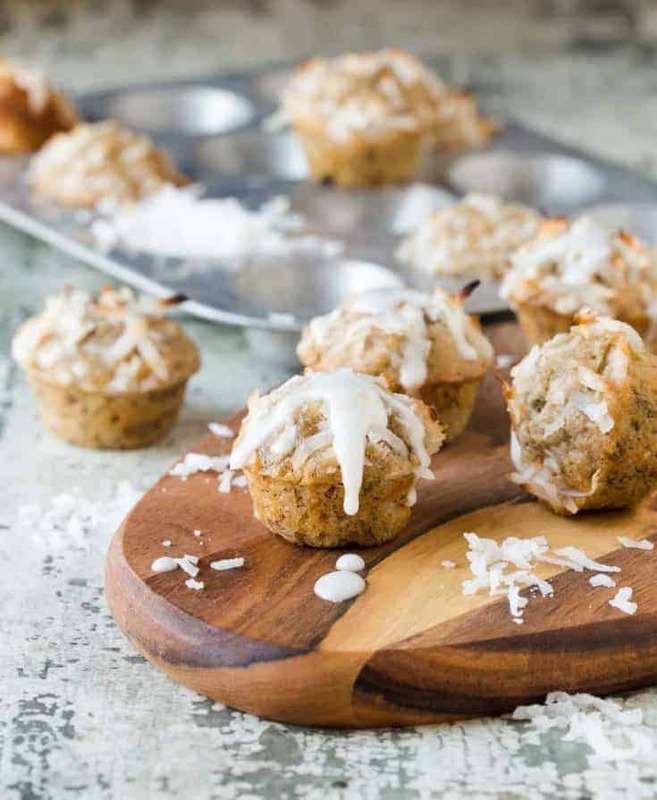 Banana bread is always a crowd-pleaser, but this recipe for Coconut Banana Bread Mini Muffins with Lime Glaze takes a traditional favorite and gives it a tropical twist with the addition of sweet flaked coconut and a tart lime glaze. The moist, sweet coconut adds a lovely texture, and the lime glaze gives these muffins just the right amount of sweet-tart tang. These fresh flavors practically scream spring and would be a delicious addition to your Easter brunch buffet. Can I bake this recipe for banana bread mini muffins as regular size muffins? Of course you can! You can even make this recipe in a loaf pan if you prefer slices of bread instead of mini or regular sized muffins. Just be sure to extend the baking time to ensure the larger forms are baked through. 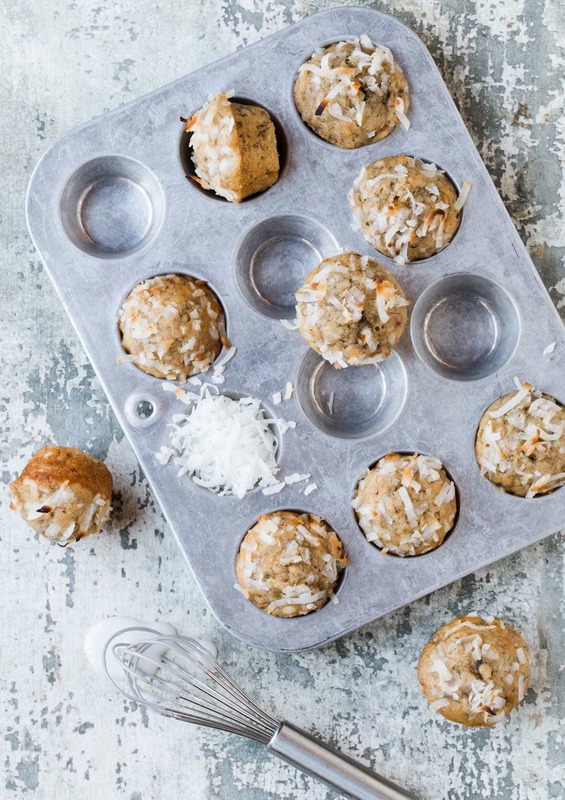 Most muffins freeze beautifully, and these Coconut Banana Bread Mini Muffins are no exception. Wrap the muffins tightly and pop them in the freezer for up to 2 months. When you’re ready to serve them, simply defrost the muffins and drizzle with the sweet, tart lime glaze. Love banana bread? Don’t miss our tropical twist on an old favorite with this Coconut Banana Bread Mini Muffins with Lime Glaze recipe! Preheat oven to 350 degrees. 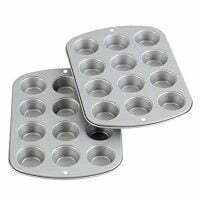 Lightly spray mini muffin pans with cooking spray. Set aside. Whisk together flour, baking soda, salt and cinnamon in a small bowl. Set aside. Add sugar and coconut oil to a large bowl and mix on medium speed until thoroughly combined. Add eggs, one at a time, mixing well after each addition. Place banana, Greek yogurt and vanilla in bowl with sugar mixture and mix until blended. Gradually add flour mixture until just moist. Stir in 1/2 cup coconut. Evenly divide batter using small scoop among mini muffin pan(s) and sprinkle batter with remaining 3 tablespoons coconut. Bake for 10-13 minutes or until a toothpick inserted in the center comes out clean. Remove from pan and allow to cool on rack. Combine powdered sugar and 1 1/2 tablespoons lime juice in a small bowl. 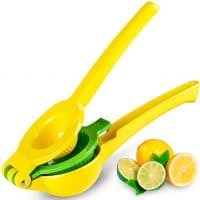 If mixture is too thick, add extra lime juice until desired consistency is reached. Gently drizzle over cooled muffins. I love your use of greek yogurt instead of sour cream in the recipe! I’m pinning these to make ASAP! A little extra protein boost can’t be beat! Yay for a fellow coconut-lover! I love coconut. These look the perfect bite sized muffin. Love the combo of banana and coconut! Me, too, Melanie. Coconut forever! just wonder if these would translate as well into the average cupcake size? any thoughts would be appreciated….like do you think going bigger would take away from the flavors? I’ve made this recipe in a loaf pan, too, and it turns out great. No reason it wouldn’t work in a regular size muffin pan. Enjoy! I’m a big coconut fan, too, so I try to sneak it in wherever I can. Thanks for the FB love, Erin!